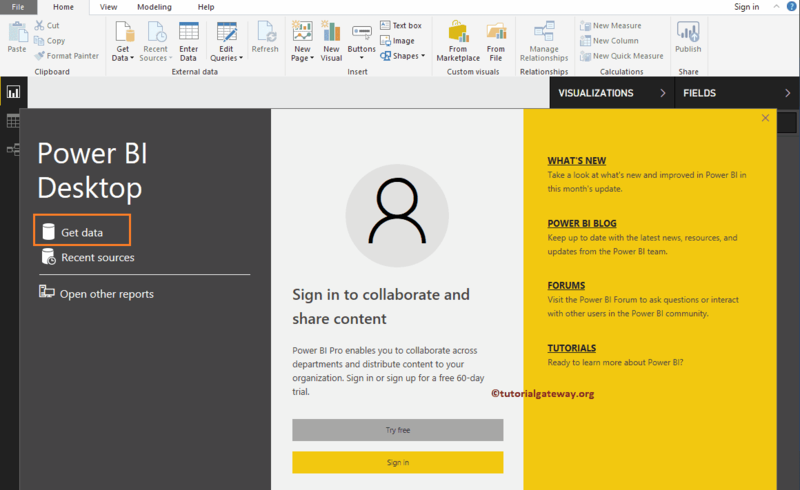 In this article, we will show you, How to connect Power BI to Text Files, and how to get data from text file to Power BI. 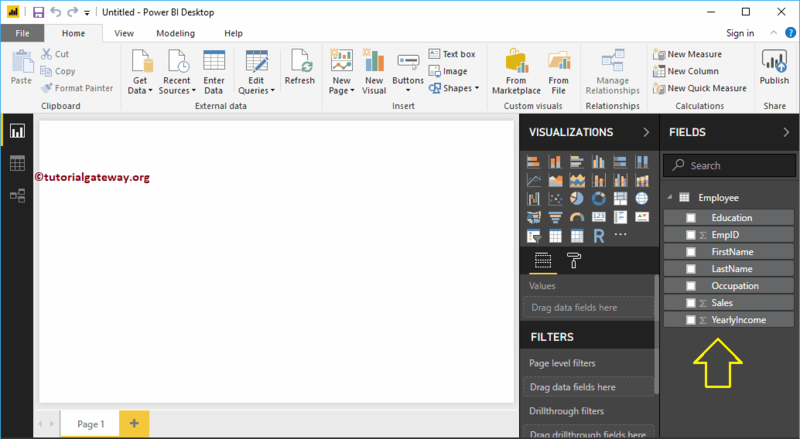 To demonstrate the same, we will load data from text file to Power BI, and generate a column chart. 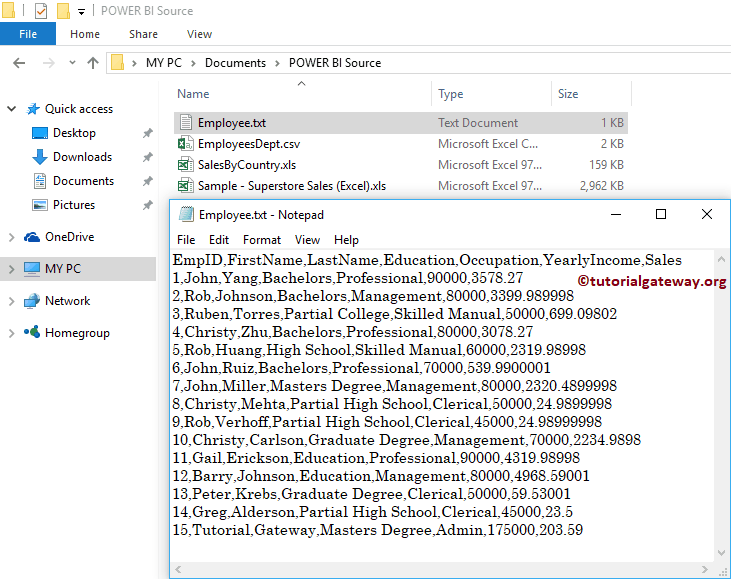 Now you can see the preview of the data present in the text file. 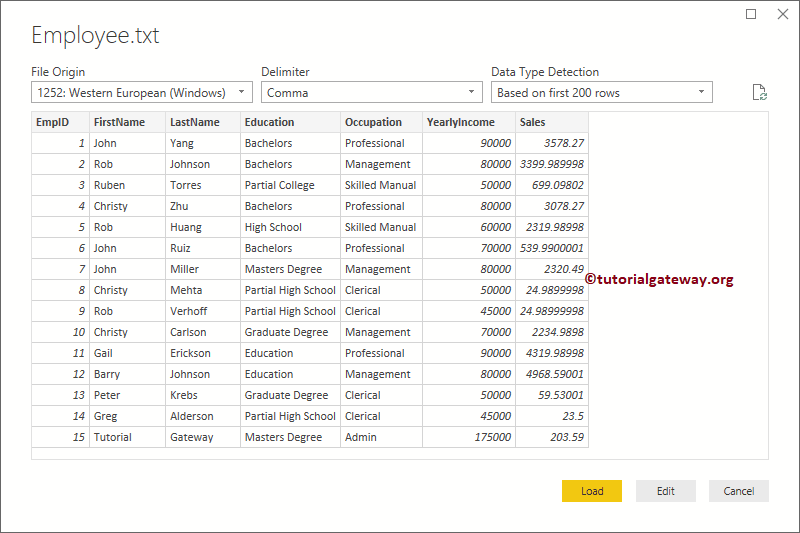 Most of the time, Power BI will automatically pick the delimiter, and separate the columns. 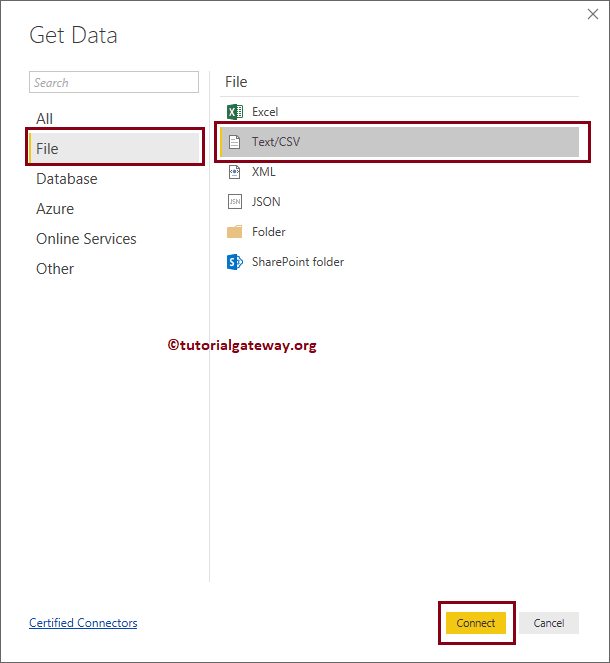 If this is not the case, then use the Delimiter option to change as per your requirement. When you click Edit button, following window will be opened. 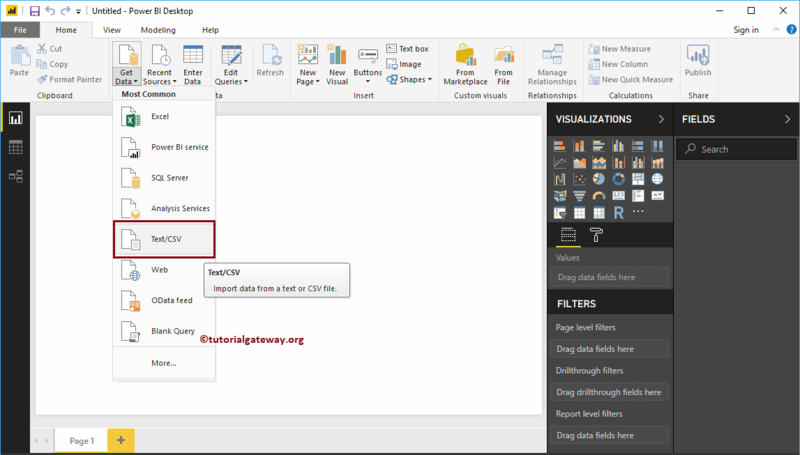 Use this window to change the data as per your requirement. 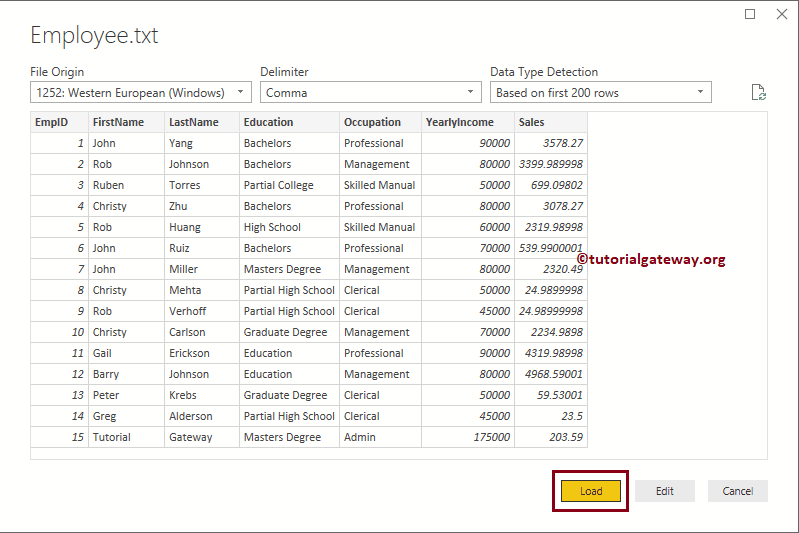 Now you can see all the Columns that are imported from the text file under the Fields section. 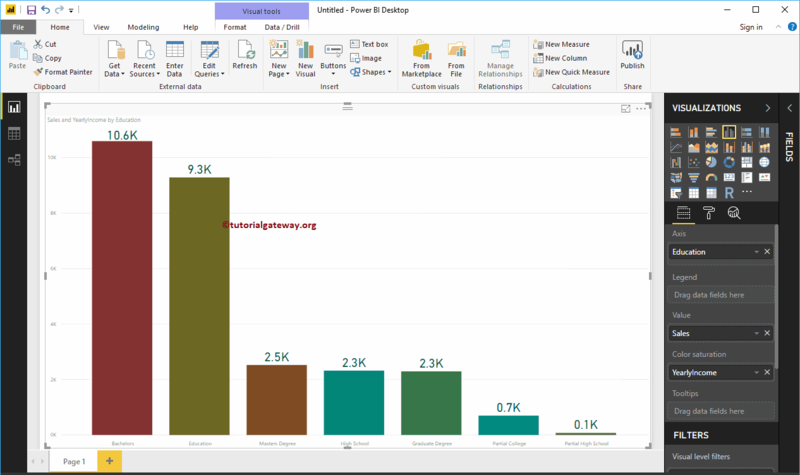 Let me create a Column chart using this data. 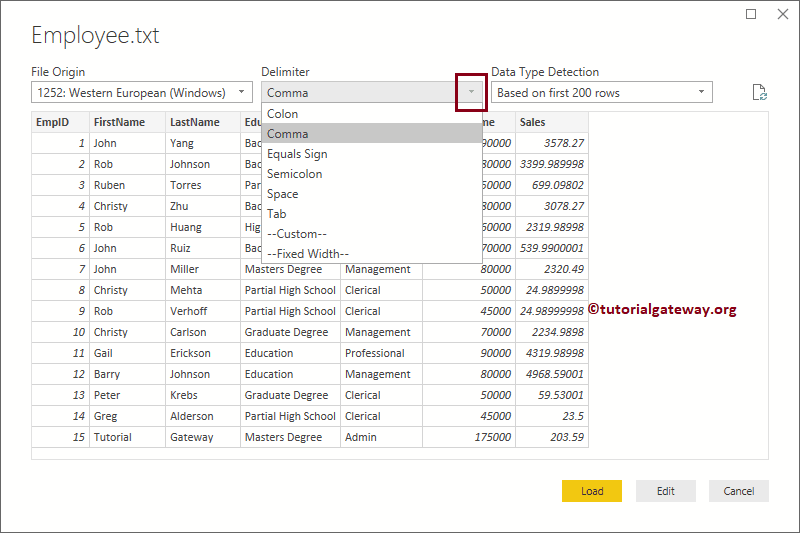 I suggest you refer, Column Chart in Power BI article to understand the steps involved in creating it.